Ale Montañez © 2016 Expressionist painter of Tenerife, Canary Islands, Spain, Planet Earth. Exhibition in Venice from March 16 to 19, 2018. Biennale Delle Nazioni, Scuola Grande della Misericordia Palace. 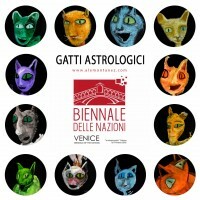 Venezia Art Expo is an event designed to involve many experiences of contemporary art in a great world meeting. Painting, sculpture, graphics, photography, video art and ceramics. Opportunity to meet and compare tradition and innovation. A prestigious artistic space in which visitors will have the opportunity to buy works of art from around the world. 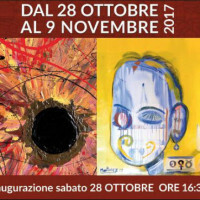 From Saturday October 28 to Thursday November 9, 2017 at the "Società delle Belle Arti - Circolo degli Artisti Casa di Dante" in Florence shows: Carpe Diem- "L'hic et nunc dell'arte", Antonia Pia Gordon and Ale Montañez.